OGDEN, Utah (November 20, 2018) – The Big Sky Conference is primed and ready for the FCS Playoffs, as it has just wrapped up the regular season. With a few days to go before the playoffs begin, the Big Sky has announced its Football All-Conference team and individual award winners for 2018. The All-Conference teams and individual award winners were selected by the 13 league head coaches and released by the league office Tuesday. UC Davis junior quarterback Jake Maier was voted the league’s Offensive Player of the Year. Maier, a finalist for the Walter Payton Award, finished the regular season as one of the best passers in the nation. He leads the Big Sky and ranks third in the FCS in passing yards per game (307.8) and passing yards (3,387). For the second consecutive season, UC Davis has claimed the top offensive honor, as he led the Aggies to a share of the league title and a playoff berth for the first time in school history. 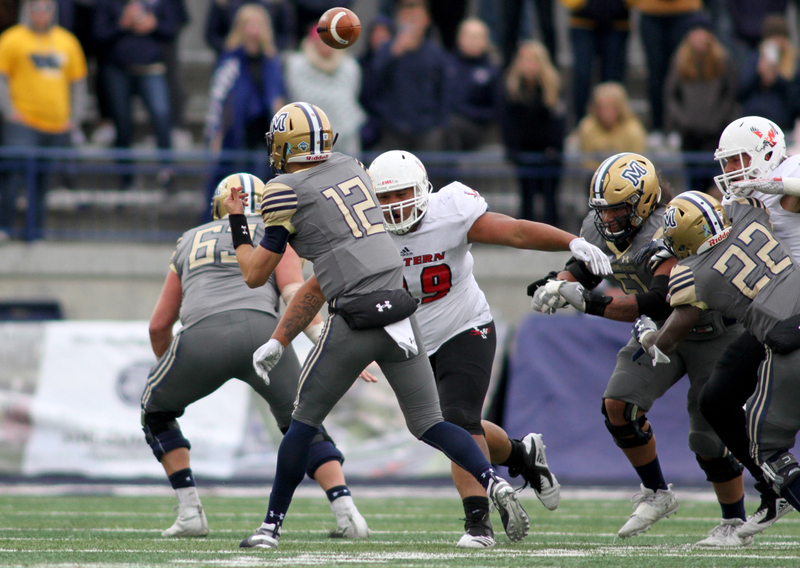 Eastern Washington defensive tackle Jay-Tee Tiuli was named the Big Sky Defensive Player of the Year. Tiuli has 29 tackles, 6.5 tackles for a loss of 36 yards, 4.0 sacks for a loss of 30 yards, a forced fumble, and a fumble recovery. The Eagles earned a share of the league title and have advanced to the FCS Playoffs for the 13th time in school history. Tiuli is the first Eastern Washington player to earn DPOTY honors since J.C. Sherritt in 2010. 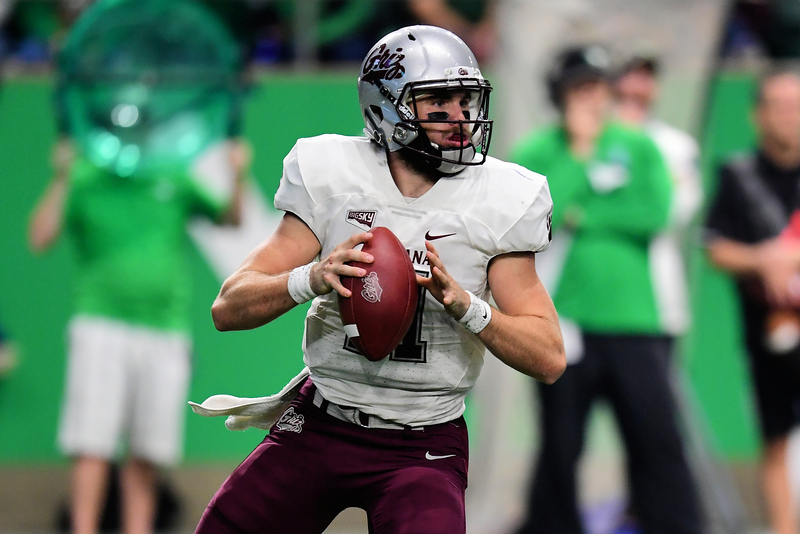 Montana quarterback Dalton Sneed was named the Newcomer of the Year. The transfer registered seven multiple touchdown games, including a season-high five touchdown passes. Third in the league in passing yards with 2,723, Sneed has completed 22 touchdown passes. Weber State’s Josh Davis was voted the league’s Freshman of the Year. The all-purpose player ranks third in the FCS in all-purpose yards per game (170.00) and sixth in total all-purpose yards (1,700). He has seven games of 100-plus more rushing yards and two games with 200-plus with a season-high of 225. Cal Poly fullback Joe Protheroe is the lone three-time All-First Team honoree on the list. He was also a unanimous selection in his final season, as he leads the nation in rushing yards at 1,810. UC Davis wide receiver Keelan Doss, Idaho State wide receiver Mitch Gueller, Weber State offensive tackle Iosua Opeta, Southern Utah center Zach Larsen, and Weber State kick returner Rashid Shaheed are all two-time first team honorees. Doss, Maier, Shaheed and Troy Andersen were all unanimous First Team offensive honorees. Tiuli and Weber State’s LeGrand Toia and Brady May were all two-time First Team selections on defense, while Tiuli and Toia were unanimous selections. Co-conference champion Weber State placed 13 players on the first team, followed by Eastern Washington with five and Idaho with three selections. All 13 teams in the league had at least one player selected to one of the three teams. Eastern Washington and Weber State tied for the most all-conference selections with 18 apiece.